Mind Body Soul is Coming!!! May 4th will be the 12th year of the Mind Body Soul and it continues to grow and grow. 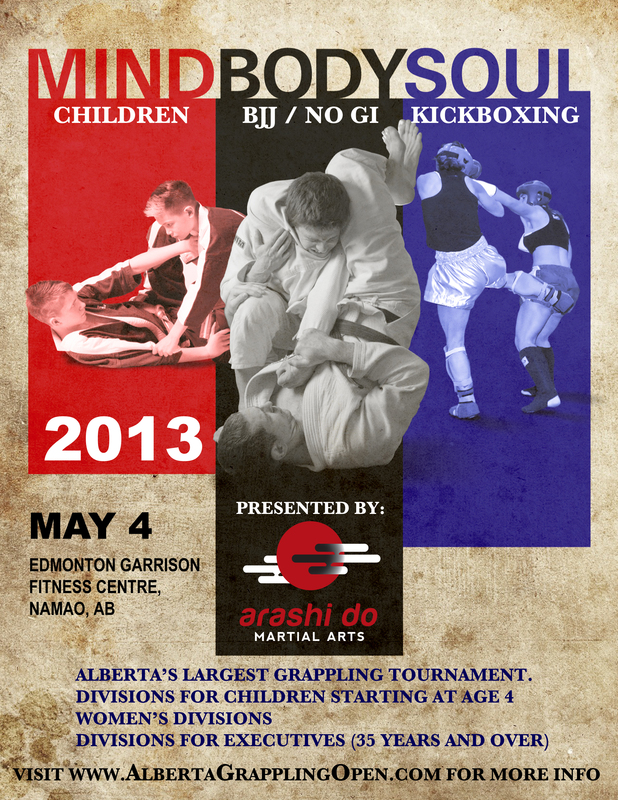 Because of the great support we will be having 48 divisions for children, 14 more than last year. This will allow children to be separated into smaller divisions of with closer weight classes and be more fair. We will also have 97 Adult Divisions, Again more than last year with the newest division being an Executive Divisions for competitors over 35 years old. In all, almost 150 divisions! In an effort to save paper, we are posting our poster for the event here. If you or your school would like to print one off please do, but limit yourself to 1 or 2 per school. That being said, please, please help spread the word by posting it on facebook and passing around the digital copies below.